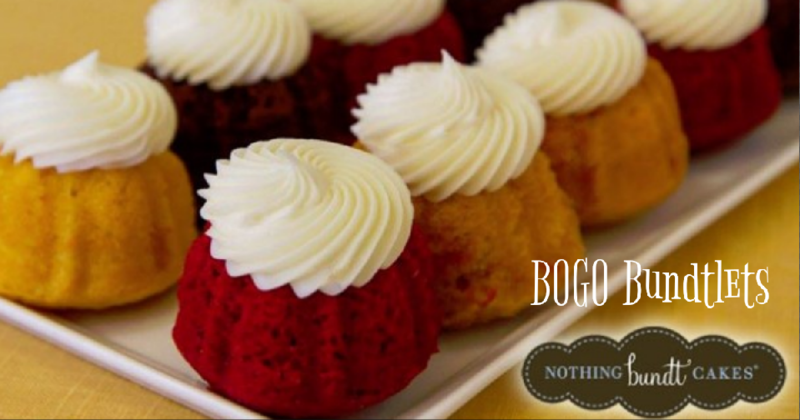 Nothing Bundt Cakes is offering a BOGO Bundtlets, valid at select locations! Show this offer at a valid bakery location to redeem this deal. These cakes are so delicious and come in a variety of flavors including red velvet, pecan praline and more. Don’t miss out on this sweet treat! Valid at select locations only through 1/12.